Team Daily loves food, events, people, shopping, this thing, that thing and just every other thing about Vancouver! Just as much as we love the City, we love talking about it. Now, we have someone else, too, to talk about our City. She will be writing about all things we love about the City in our latest column named, ‘We Love That! with Kay‘. Without talking too much, let’s get straight to the point. We have already spoken about the Best-in-City Burgers, Macarons, Milkshakes, Cookies and Juices but how did we forget pizza? Pizza! Pizzaaaaa! The life saver. Our first love. Our comfort food. But as they say, “better late than never”. 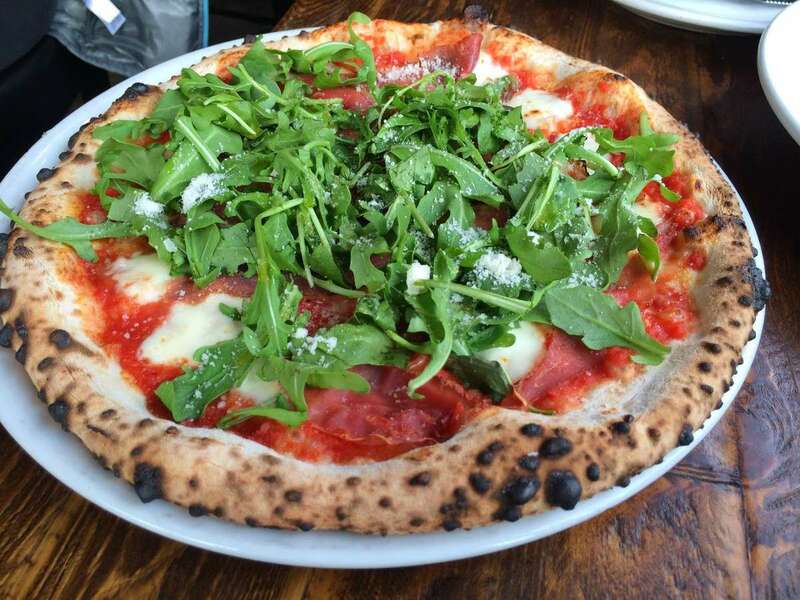 Here is Kay’s amazing experiences while hunting for the Best Pizzas in Vancouver. We were in Italy for close to three weeks in between backpacking and studying abroad last year. Roma, Firenze, Venezia, and Cinque Terre – we are obsessed with Italian food. We like to tell people we majored in Pizza, with a minor in Gelato. While not in Italy anymore, the pizza from the following places takes us straight to the Italian Pizza Heaven! Rebellious Tomato – Healthy pizza isn’t an oxymoron here. 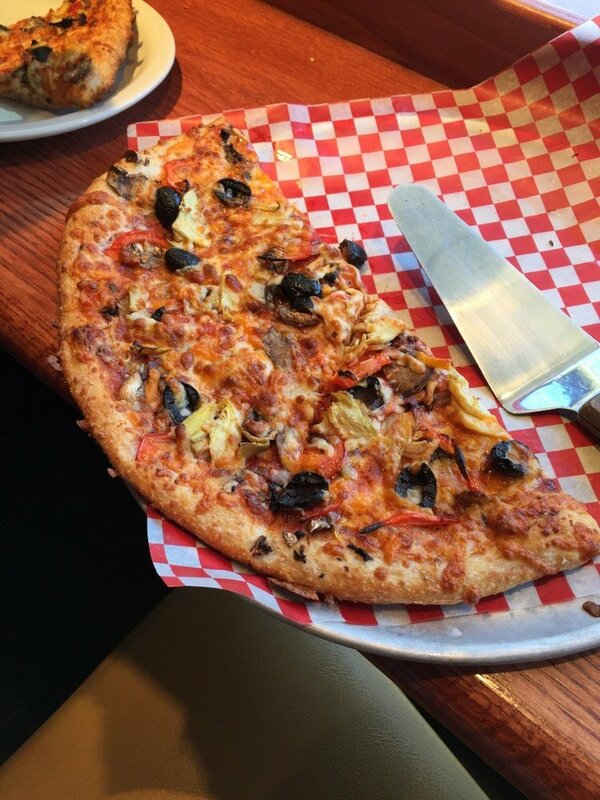 Rebellious Tomato is perfect for people with food restrictions who still want to indulge in the glory that is pizza. 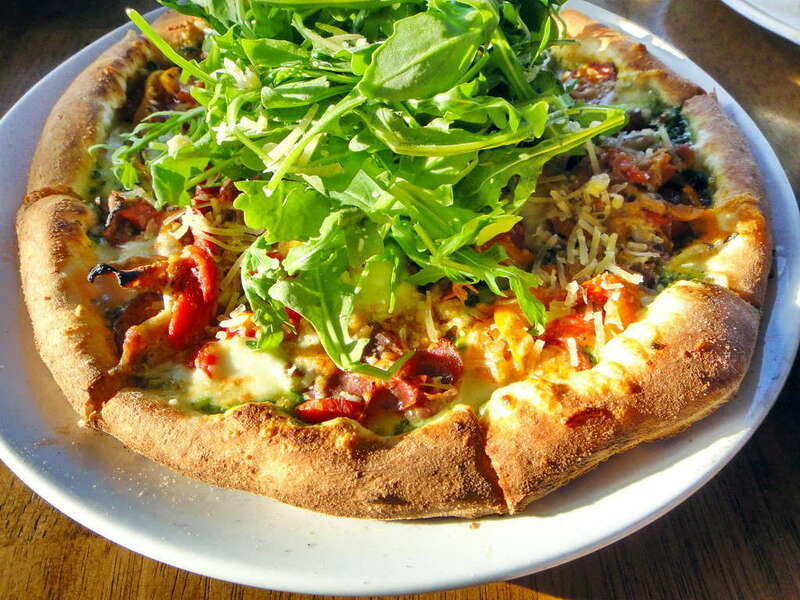 They offer organic ingredients, gluten free and whole wheat crust options, and plenty of vegetarian options. But healthy doesn’t mean plain and boring. Their Tear Jerker and Thai Curry pizzas are just yumm! 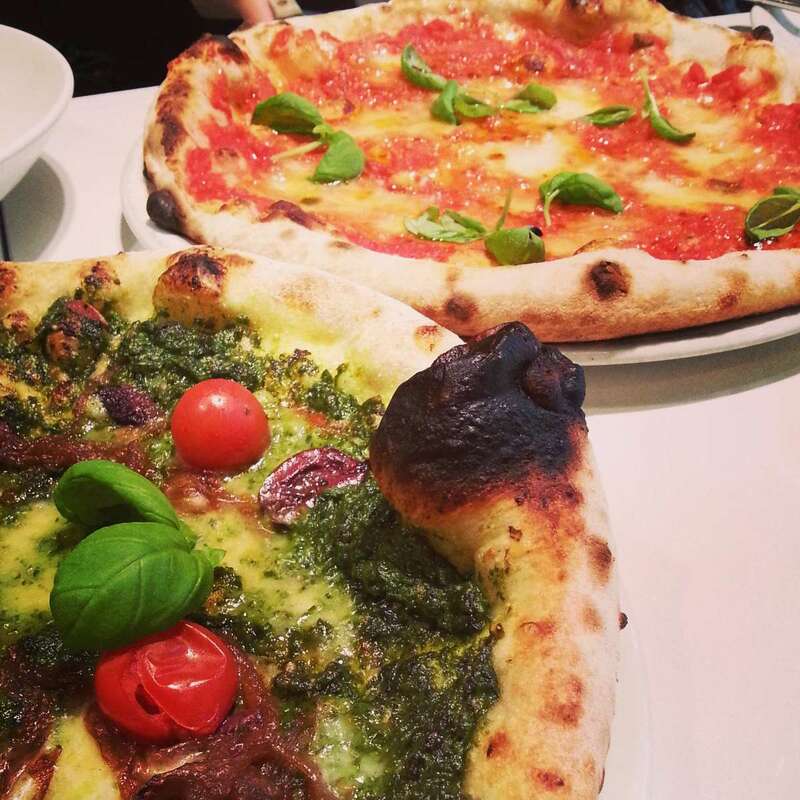 NOVO Pizzeria & Wine Bar – Pizza and Vino is one of the best combinations in the world! White pizzas here are super noms and I would recommend their Potato Pizza. It’s carbs on carbs but whatever – you need to soak up all that wine somehow. That’s basically advice for your well-being. Bufala – We dig this place because of their innovative spin on salads (Can you say arugula and grapefruit? Kale Caesar? Soo nums) and because the location is pretty prime. 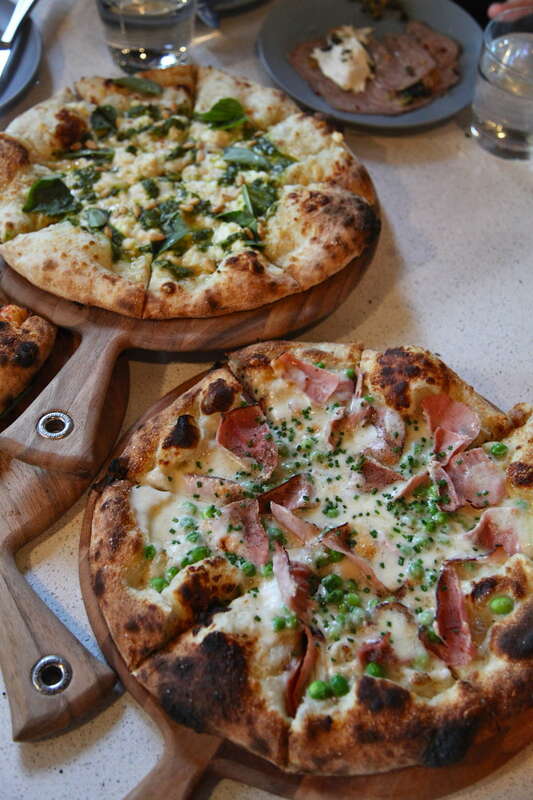 Their pizzas are also good – a little bit on the thicker and smaller side of wood fire pizzas. We generally like our wood fire pizzas paper thin and somewhat on the wet side. Bufala is quite new and you can tell by its use of hipster fonts and the pristinely clean décor. We dig it. Via Tevere Pizzeria Napoletana – Extra points for cuteness. Located at the corner of a residential block, Via Tevere shies away from commercial storefronts. It is cute as hell. There’s usually a line up around front, so you’ve been warned. Tasty pizzas. Good caprese salad. Excellent Nutella fritters. Just Do It, we say! Unforgettable Pizza – My favourite thing about Unforgettable Pizza is the cheese. It’s so freaking good. They claim to have the best mozzarella and we believe it. We’ve never been to NYC ourselves, so unfortunately we can’t contend how accurate its advertising of ‘New York Style Pizza’ it is – but Unforgettable’s pizza runs on the thin and fold able side à la NYC. Also, the names of their pizzas are très catchy. 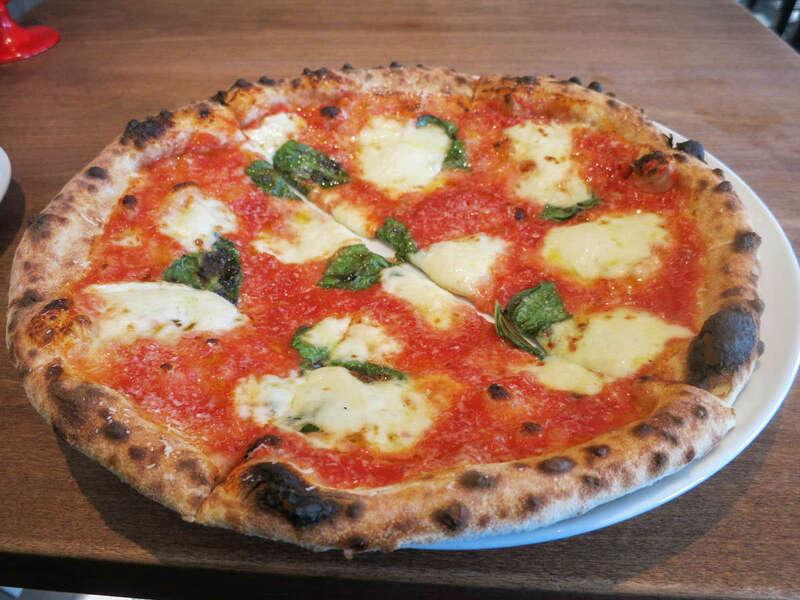 CottoEnoteca Pizzeria – Technically not in Vancouver, but we have to include this on the list because they have burrata cheese on the menu all the time. It is to die for. As slightly indicated the name, burrata is like a buttery, milky, more rich version of fresh mozzarella.It’s a stringy wet mess that you glop onto a piece of Cotto’s fresh rosemary brick oven bread (forno bread). Cotto’s burrata appy comes with their roasted pepper caponata that they make in-house. The peppers melt in your mouth and have a slight vinegar taste to them. Trust us when we say it is pretty much the bomb dot com. We would also recommend their piatto di antipasti which comes with their caponata and a bunch of other very marvelous items. Nicli Antica Pizzeria – Literally my fav! 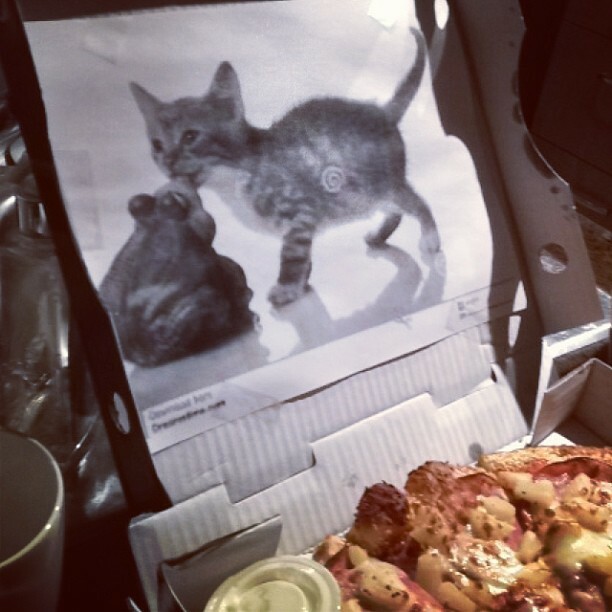 If we want really good pizza, we go to Nicli’s. It tastes exactly like the good pizza in Italy – uncut, thin as ever, and the tomato sauce has a creamy rich essence to it. It is awesome pizza.They grow fresh basil and other herbs right in the dining room – you can watch the staff pick up fresh sprigs and leaves as they manoeuvre around Nicli’s immaculat erestaurant design. Besides serving the most delicious pizza ever, Nicli’s is the kind place you’d take someone on a date. Someone you really like. Tips? Get the affogato–a scoop of vanilla bean gelato plopped in a shot of espresso makes a wicked dessert. And check out the back of your menu for a surprise. 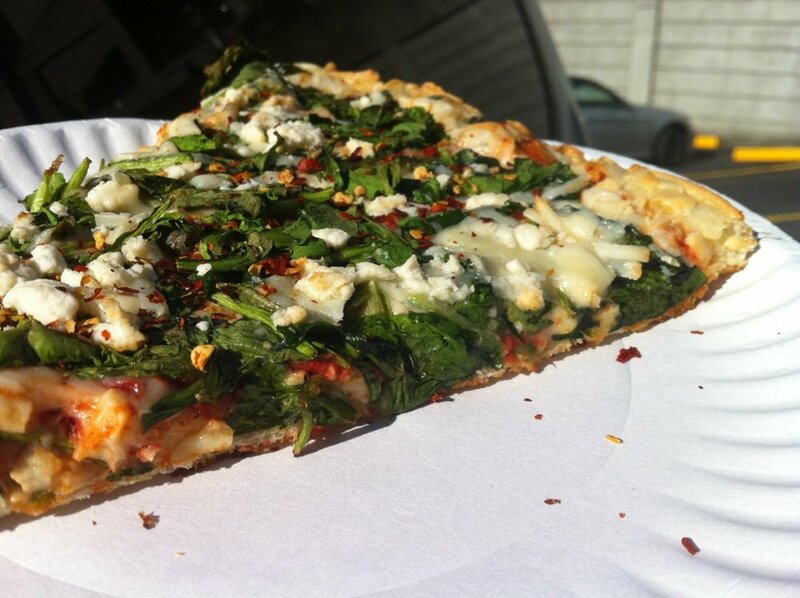 Megabite Pizza – Don’t act like you’re too good for Megabite ‘cause you’re really not. Megabite is that gentle hand rousing your shoulder after a long night of partying – it’s that comfort of knowing you’re not going home alone tonight. It’s got self-serve Tabasco and ranch as well, A.K.A. pizza’s own Land of the Free. They made it happen. Megabite delivers in more ways than one.